For Shiur sponsorship, please scroll down. 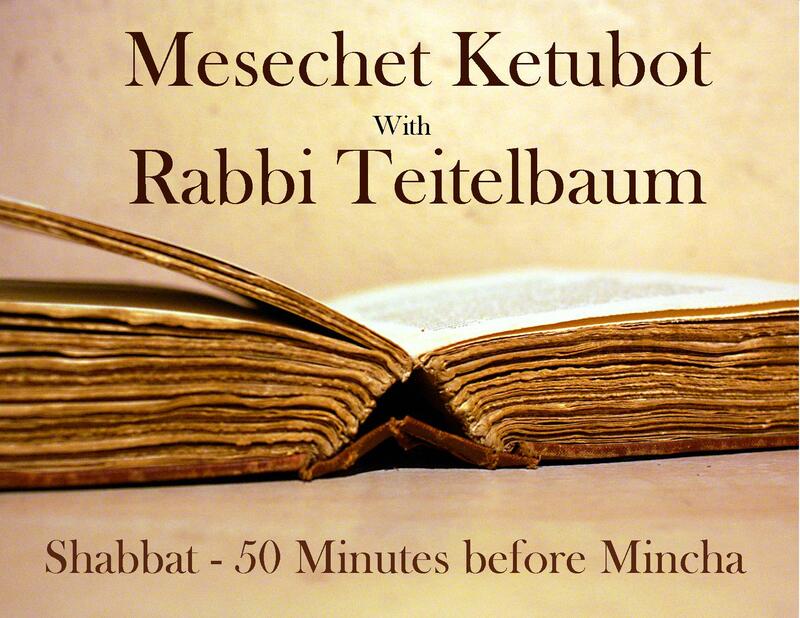 The Gemara and Rishonim are studied in depth, on Shabbat afternoons, fifty minutes before (late) Minchah, with Rabbi Moshe Teitelbaum. 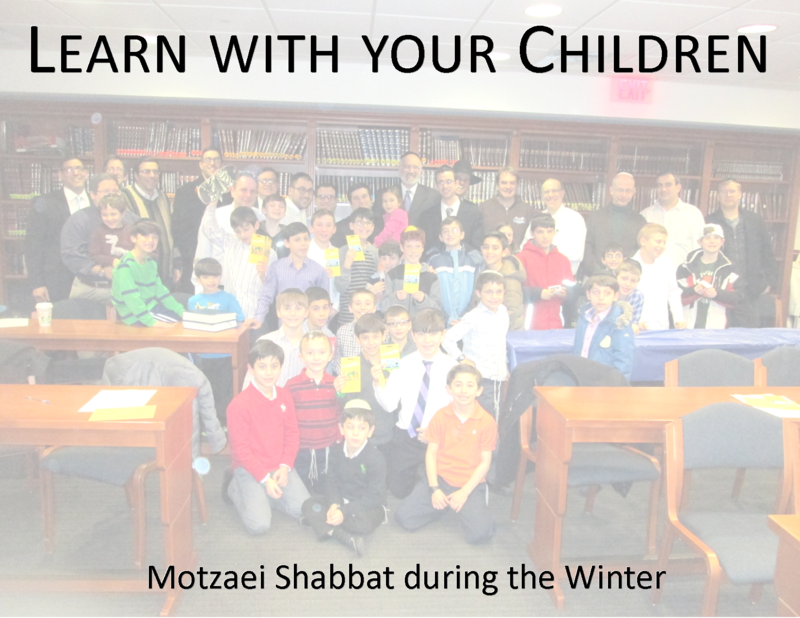 Forty minutes after Shabbat ends, a structured program of Torah study with fathers and their children, followed by a brief story by Rabbi Teitelbaum or Rabbi Trump, accompanied by hot pizza, soda and prizes. 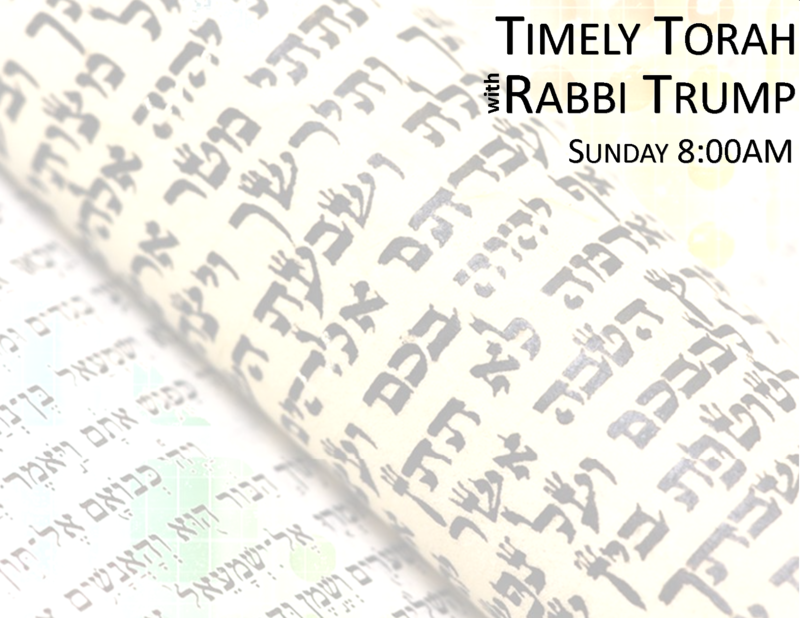 Every Sunday, Rabbi Trump presents relevant Halachic and philosophical topics related to the Parsha, Moadim and contemporary issues. Freshly brewed coffee and pastries are served. 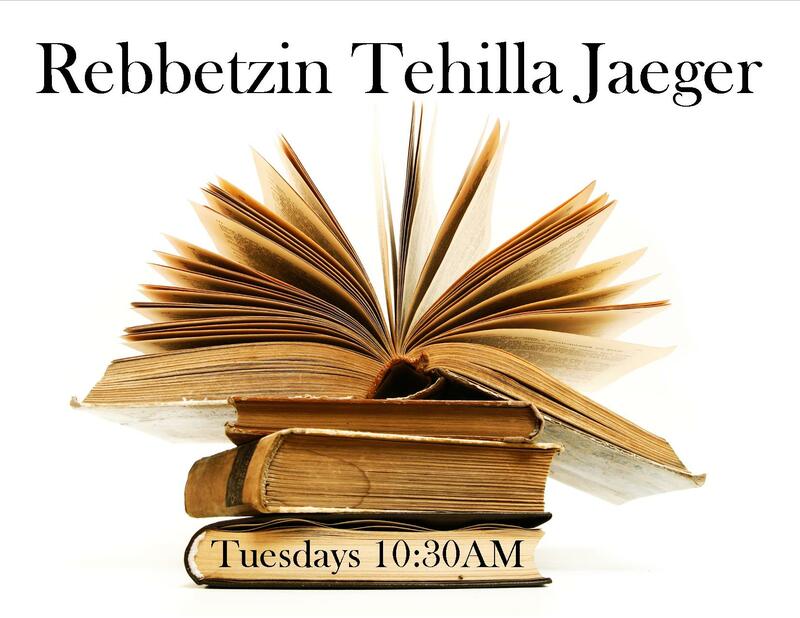 Rebbetzin Tehila Jaeger is a noted and beloved teacher of Torah. She is the daughter of renowned Kiruv pioneers, Rabbi Shlomo and Rebbetzin Chaya Sarah Freifeld, Zt”l, founder of Yeshiva Sh’or Yoshuv. 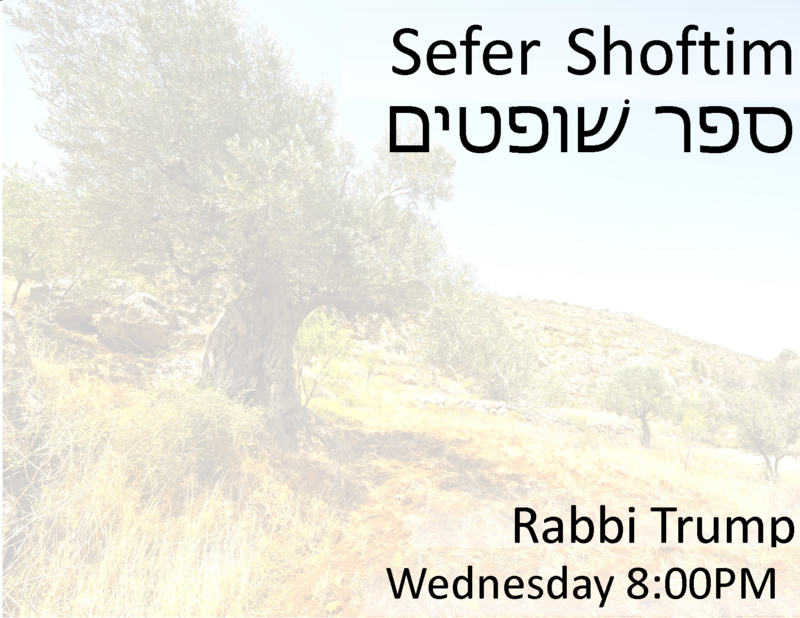 Every Wednesday evening, Rabbi Trump presents a unique shiur in Nach. The shiur focuses both on the overall themes along with the particular issues addressed by the Mefarshim. The year will close with 3 units, completing Sefer Shoftim. 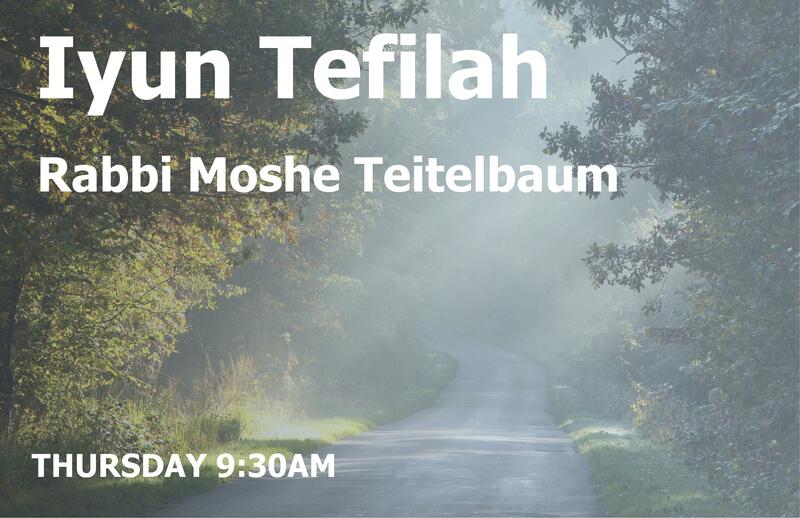 Rabbi Teitelbaum leads a Shiur on the topic of Tefilah; in-depth understanding of Davening at 9:30 AM in the Annette Adler Young Adult Bet Medrash. 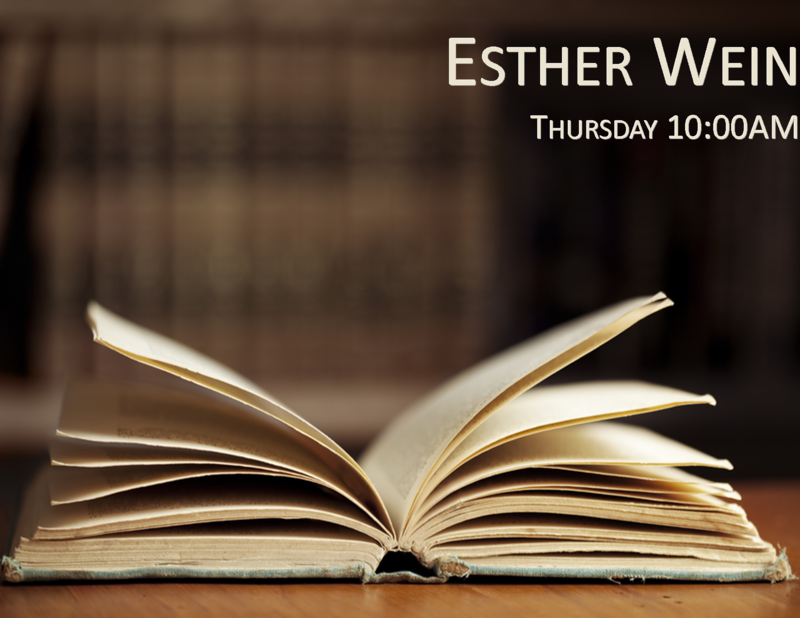 Through her classes, lectures and travels, Esther Wein has been sharing Torah for many years. Sought after as a speaker, traveling around the country, she offers words of Torah and spiritual insight. A Shiur in Sfas Emes on the Parsha, insights of the great Rebbe and thinker, Rabbi Yehuda Aryeh Leb of Gur, is led by Rabbi Teitelbaum, Thursday evenings following 8:15 Ma’ariv after Sukkot, and following daily Mincha-Ma’ariv after Pesach.